Born in Frankfurt, Andreas first came to China in 1999 and started studying Mandarin in Beijing in 2002. Working for different international medical companies in Beijing afterwards he kept studying Mandarin himself and helped newly arrived friends to organize their Chinese courses. After many failed attempts and many stories of slow progress and bad organization, the lack of a reliable Chinese language school offering high quality Mandarin instruction became quite apparent. In 2007 while living in a beautiful Hutong in old Beijing, he decided to start a Chinese language school to change that. It first operated out of a coffee shop in the Central Business District, just across the street from where we are located today. The initial plan was to call it “Spaghetti Chinese” but thankfully a friend with a bit more marketing experience convinced him to use LTL (Live The Language) instead. 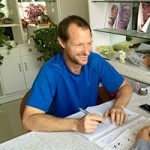 Today Andreas lives in Beijing and is still the owner and director of LTL Mandarin School. Those contracts included stable salaries and full social insurance packages with annual, sick and maternity leave as well as health, pension and unemployment insurance. Back then this was highly unusual, but the offer turned out to be a strong incentive. Within a few months we had Beijing’s best and most experienced Chinese teachers working for us. Tina worked as our Director of Studies in Beijing until 2013 when she took a one-year baby break. Afterwards she moved with her little daughter back to her home town Chengde to lead our Chinese teaching team there. Today Tina is our Director of Studies in Chengde, but still loves teaching and instructs students in the Chinese immersion program herself. Our interior designers Ms. Liang Min from the Beijing Institute of Technology created a very bright environment that quickly became our and our student’s home. She also decided to cover all class room walls with glass so they could also be used as white boards. This allowed teachers to move around in the class room and fit our inter-active and energetic teaching style very well. Liang Min went on to design all LTL language schools, including the first school extension on the 19th floor, the new one on the 29th floor and our Shanghai school. Today, she lives and works in Milan, Italy. Our teachers went to their homes or offices to teach Mandarin a few times a week after work. This meant we had only limited opportunities to get them to be immersed into a Chinese language environment and just a few hours of instruction a week were not enough for rapid language progress. However, in 2009 we had grown enough to start focusing on our main mission: Rapid language progress programs for students to coming to China for full time study. This meant offering a lot more than just language classes, as homestays, visas, social events and 24/7 support are vital for a successful program. 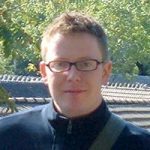 In 2009 – our first year of offering this – we had a total of three full time students coming to study in China from abroad. The first one (Susanne from Germany) arrived in June and stayed with our first homestay family in Beijing for two months. The Zhang’s were a retired couple living in the building opposite of our school and friends of the uncle of one of our teachers. Their son had got married and left home so they had a free room and plenty of time available. Mr. and Ms. Zhang had never been abroad, couldn’t speak a word of English and previously had never had any contact with foreigners. It was an exciting experience for all sides. However, after sorting out the initial challenges both Susanne and the Zhang family loved it. Susanne passed her HSK exam and came back to LTL the next year. The Zhang’s remained an LTL homestay until 2013 when they moved to another city to be closer to their son and granddaughter. However, during breaks, social events and Beijing nightlife there was always a lot of temptation to speak English with other students, expats or Chinese who could speak English. Knowing that this was less than ideal, we tried out a lot of different things, including a language pledge where students promised to not speak anything except Mandarin. The results were not satisfactory. Students ended up learning each other’s grammar mistakes. As Beijing is an international city, with a large expat population, international nightlife and increasingly more English speakers it became obvious to us that a complete immersion experience would not be possible in this city. So we started to search for the perfect immersion city to learn Mandarin in. This was a lot more difficult than we had first expected. Outside of Northeast China locals spoke very strong dialects which made immersion for a student of standard Mandarin impossible. The larger cities in Northeast China all had sizeable expatriate communities with a lot of opportunities to speak English and the smaller ones were rather grim industrial towns, not to mention the minus 40 degrees temperatures during winter. However, after a lot of traveling and research we finally found our perfect city for a complete immersion program: Chengde. China’s old summer capital was the birth place of Mandarin and standard 普通话 was codified in Chengde in 1952. The city had no expatriate community whatsoever and nobody could speak English. At the same time, Chengde was a beautiful city with clean air, located in the mountains, a UNESCO world heritage site and home of the Old Imperial Summer Palace with amazing hiking and outdoor sports opportunities. At half a million people the city still offered all the amenities of a proper city though and the locals were famous for their hospitality. After countless meetings, phone calls and several days of deliberations they finally decided that there was nothing wrong with someone coming to Chengde to learn Mandarin. We were allowed to continue the program. We had not expected how little even the government in Chengde really knew about foreigners and it was an exciting time for all of us. 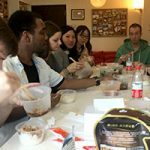 Once all settled down, the three week program was a huge success and it became very obvious how much faster students can learn Mandarin in a completely immersed environment. Until today our students are the only foreigners living in Chengde. To ensure a complete immersion experience we never have more than ten foreigners study there together. In a city of 500,000 people the chances of running into one of the other nine students are pretty small. The government today is very supportive and both officers who came to visit our first student later asked to become homestay families themselves. Little by little we were building our reputation as the place to go to for students who wanted Chinese language immersed and improve their Mandarin quickly. As a result, we started to run out of class room space and had to build a school extension on the 19th floor of the same building with an additional six class rooms. We kept the extension until 2014 when we moved into our new Beijing school on the 29th floor of the same building. We realized that many of our students did not only want to learn Mandarin, but also gain work experience in China. Teaching Chinese to many international companies already, we had very good connections to the HR departments and started to offer our internship in China program. Today most interns combine studying Mandarin with working in a company in Beijing or Shanghai. Zhongwen however had always believed that Mandarin was her destiny and so did her parents when they chose her name: 仲文 (Zhongwen) which is pronounced the same way as 中文 (Zhongwen – Mandarin). 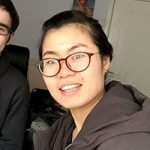 Once she heard about a Chinese language school setting up shop, she immediately applied and quickly became one of our most valuable team members. Zhongwen today is our Chengde school director and very much the heart and soul of LTL there. She organizes classes and homestays, helps students to make local friends, organizes hiking trips and is always there when someone needs help. Also after all these years she still picks up every student from the train station herself. 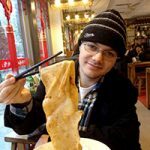 Alexander is a language learning enthusiast and polyglot who speaks 11 different languages including of course fluent Mandarin. He still runs the Shanghai school today and lives with his Chinese wife in the Xuhui district just a short walk from our Shanghai school. We had always thought with a well planned program, including homestays, immersion and well taught intensive classes it was possible to get a complete beginner to HSK 6 within a year. However, Luke’s program was the first time we put theory into practice – and it was amazing to see it work in real life. You can read a blog post from Luke when he was about seven months into the program here. Today we offer many different gap year options for students in China. They are always tailored and can include many different components from language courses, immersion programs, multi city options and internships. However, those who follow the same path as Luke are the most fascinating for us. Seeing a student who arrived in China barely being able to say “ni hao” leave with an HSK 6 certificate a year later is an amazing experience. 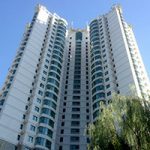 The shared apartments were also located in a very Chinese part of Beijing. Even though it is only four subway stops from our school in downtown Beijing very few foreigners live in that area. Except a new bar street that developed next to the Grand Canal which flows just south of the development, nothing much has changed in the area and our shared apartments are still located there today. The two floors are connected with a staircase so we could finally have all LTL class rooms together in one place again. Also after we had seen how important our school balcony was for students to mingle and quickly make friends, we definitely wanted a place with a nice outdoor space again. 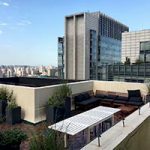 The massive 70sm roof top on the 30th floor with amazing views all over Beijing sealed the deal for us and after five months of renovations – and plenty of trouble with the construction company – we moved into our new premises. While most other schools got pushed out of downtown due to the huge rent increases in the next few years, we were lucky as we had bought the premises before prices went crazy and could remain in the middle of the city. However, in 2015 long term LTL team member Alexander Krasnov decided to move to Shanghai. This was finally our chance to bring our Chinese teaching and immersion expertise to another city. Like in Beijing we built our Shanghai school right in the middle of town and kept the same concept of small Chinese group classes, a lot of social services, support, homestays, internships, and shared apartments with a focus on fast Chinese language progress. LTL Shanghai has been very successful and with eight class rooms today, LTL Shanghai is still a bit smaller than LTL Beijing, however the difference is not that big anymore. Alex and William were two friends from the UK who decided to spend nine weeks of their gap year studying Mandarin in China and were our first multi city program participants. 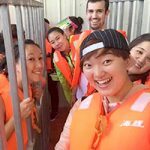 They started with three weeks in international Shanghai where it is easy to settle into China, moved on to more traditional Beijing for another three weeks and finished completely immersed in Chengde. 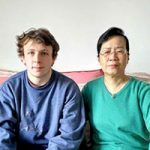 In all cities they stayed in a homestay and took the intensive option with four hours of small group plus an additional two hours of 1-on-1 Chinese classes per day. 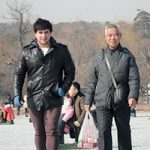 Both made it from complete beginner level to HSK 2 within those nine weeks and within just two months learned more about China than many do in their whole lifetime. The program was a huge success and today the multi city program is one of our most popular options. Especially students who want to come to China for a longer period often on a gap year before or after university choose to study in two or three different LTL schools during their Chinese program. Andy was from the USA and of Taiwanese decent. He often visited Taipei for business trips and grew up speaking some Mandarin at home. Already having the basics, his main aim was to be able to speak Mandarin confidently in business situations. He did four hours a day of one on one classes and progressed very fast. 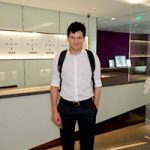 Andy also wrote about his experience of studying at LTL Taipei, which you can find on our individual Chinese classes in Taiwan page. 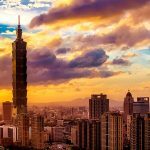 LTL Taiwan has grown rapidly since then and has this year become one of our most popular study destinations, both because of the great school and teachers we have there but also because Taipei is just a really cool, nice and friendly city to learn Mandarin in. 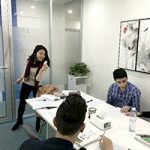 Learning Chinese in Beijing is a wonderful experience that we make sure you get the most out of. 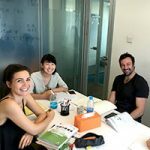 Enjoy our full time small group classes or even faster progress with our individual, tailored classes to get your Mandarin ahead fast. Study Mandarin in Shanghai with LTL and enjoy our wide range of Chinese courses. We offer first class small group classes that average just three people per class. You can also study Mandarin individually with our tailored classes for speedy progress. Choose from a number of our Chinese Gap Year programs and explore China whilst studying Mandarin abroad. Learn Chinese with our Immersion Program or enjoy total freedom and build your own Gap Year. Study abroad and visit three Chinese cities whilst learning Chinese with LTL Mandarin School. 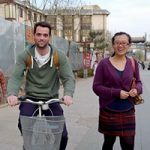 Our Multi City program offers a unique course where you will enjoy modern day China alongside historic and traditional China. Come to China and experience an Internship whilst also studying Chinese with LTL Mandarin School. China's popularity and scale of growth is huge and only growing. Be a part of this unique country and let LTL help you along the way. Learn Chinese on the Great Wall and enjoy the experience of a lifetime. Our Summer program is in the heart of China’s most famous landmark and improve your Mandarin language skills with our fully certified teachers.